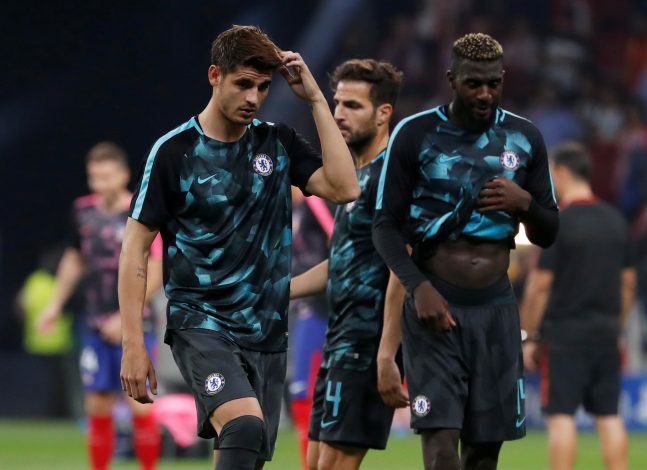 Chelsea secured a victory against Burnley last night, in which Alvaro Morata grew frustrated owing to the fact that he was substituted off by Antonio Conte. The Spaniard clearly portrayed an underwhelming performance, even missing out on simple chances in front of goal. His lack of clinicality has been put to question this campaign, with multiple comparable situations occurring throughout the season. The former Real Madrid striker was replaced by Eden Hazard with twenty minutes in the remainder of the entirety of ninety minutes. As he made his way to the sidelines, the Spanish international was provoked, with the fans trying to make him reminiscent of his mistakes. Further, he let his frustration manifest itself by engaging with the Burnley fans prior to taking off his boots and shin pads and slamming them on the ground, as Cesc Fabregas attempted to calm his teammate down. The former Juve man’s situation at Chelsea has been scrutinized since the commencement of the season. Nevertheless, he’s showing signs of the frustration taking the better of him recently. Regardless, Chelsea held up their 2-1 lead, as they now rest five points below Tottenham with four games in the remainder. With the Champions League spot hopes already gone, the Londoners could perform their best to salvage what’s left of it.